Who qualifies for receiving support? What is the amount of the support and how long is it intended for? When will the activities take place? expand international collaboration and professional development opportunities for state, research and development institutions, higher education institutions, companies, students and academic staff by improving cross-sectoral and international mobility and collaboration opportunities. ETAg will reimburse costs for those partners whose researchers have made it to the second stage of evaluation with their ERC grant applications but have not received affirmative funding decisions from the European Research Council. We provide these researchers with the opportunity of continuing their research in Estonia and to submit a new ERC grant application from an Estonian research or development institution during the next call for proposals. We will reimburse research costs related to an ERC grant and the costs of the preparation of a new ERC grant application, including travel to R&D institutions in foreign countries where there are successful holders of ERC grants. During the project researchers can make study visits to ERC grant holders for three to six months. If necessary, ETAg will provide help in finding of ERC grant holders. Look here for further information. The activity aims to increase the number of ERC grant holders in Estonia, since ERC grants are some of the most prized grants in the world of research, and to date Estonian researchers have had little success in applying for them. The higher the number of high-level international grant holders is in Estonia, the more research-attractive Estonia will be. 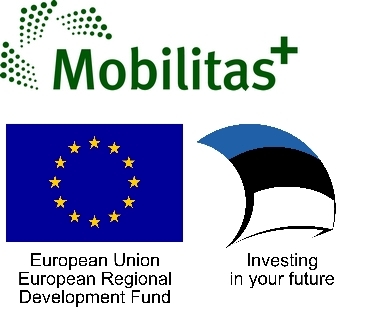 As a result of the activity, Estonia will have more ERC grant holders. The objective is to support 20 ERC grant applicants. For the reimbursement of costs, a researcher employed by a partner has to participate in an ERC grant competition and gain the mark of A or B during evaluation (whilst not actually being funded). Then, the partner has to present the Estonian Research Council an action plan on the relevant form. Among other things, this has to include information on the partner, objective, results, budget and time-frame. The amount of costs to be reimbursed depends on the rates of research support provided out of state budget funding (but not more than 100 000 euros per annum). The costs are reimbursed for up to 1.5 years. Activities are carried out on an ongoing basis, provided when the results of ERC calls are made available to the applicants.